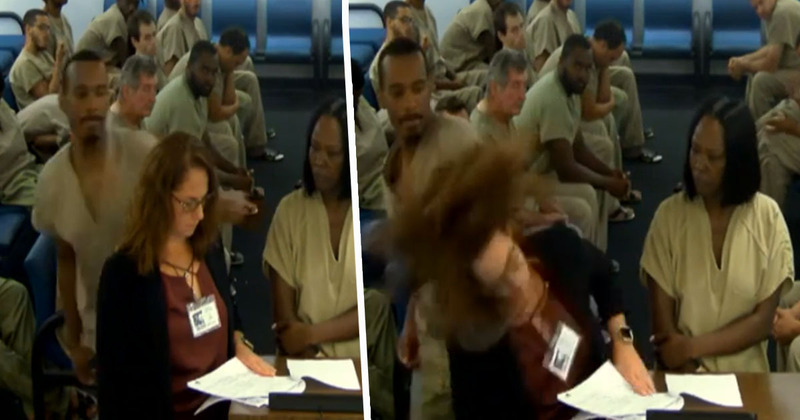 Footage has been shared of the moment a Florida man punched a female lawyer in the head during a court appearance. 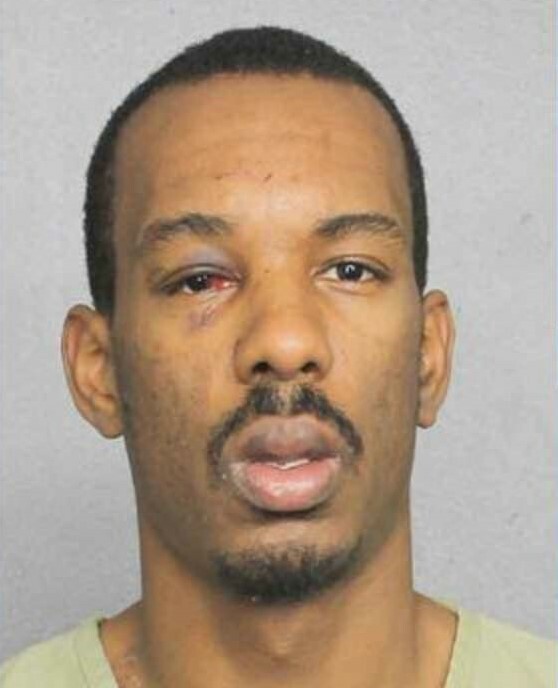 The man – William Green – was in Broward County bond court, along with a number of other defendants awaiting the judge’s decision on bonds and release conditions, when he casually stood up, walked over to the lawyer’s podium and punched her in the head, seemingly at random. The woman, assistant public defender Julie Chase, was looking at her papers when Green approached. She was completely unaware he was coming towards her, and was knocked to the ground by the single punch. Corrections deputies rushed to restrain the man and carried him out of the courtroom before the court called a recess. Chase was taken to Broward Health Medical Center for treatment, and she was released later that day. As she left hospital, Chase told Local 10 she was ‘doing OK’, and called the incident ‘a bit of a shock’, adding: ‘I didn’t expect it, but I’m doing OK’. According to court records, 27-year-old Green was arrested on Tuesday, March 26, on a battery charge after being accused of attacking an employee at a mental hospital. This is very unfortunate what happened this morning. He [Green] seemed to be in a clear psychotic state and he was arrested for battering a [hospital] technician, attacking him from the back. Weekes questioned why Green was removed from the mental facility which should have been treating any conditions he may have had. There was a big push to have officers trained to deal with crises, trained to identify folks with mental-health illnesses, trained to make better decisions about who they were going to arrest and it seems like going into a hospital to arrest someone who is acting out in a psychotic state, consistent with their psychosis, only seems to transfer the issue to the jail. For our attorney to take the brunt of the failures of law enforcement… is unacceptable. Another spokesperson questioned why Green wasn’t restrained at the time of the incident.